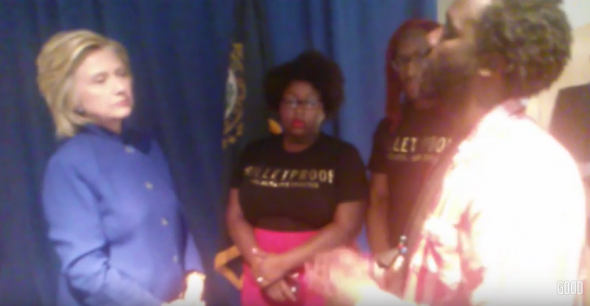 Hillary Black Lives Matter video: Activists and presidential candidate debate, discuss after speech. Hillary Clinton listens to Julius Jones of Black Lives Matter’s Worcester, Massachusetts group. Update, 3:05 p.m.: This post has been reworded because it originally referred to another, forthcoming post by Jamelle Bouie that he’s no longer planning to write.